The existing repair policies required stores to deny servicing requests to customers for iPhones that have a replacement battery from an unofficial source. The denial of service applied to effectively every required repair of the iPhone, even if it has nothing to do with the battery. First reported by iGeneration and confirmed by AppleInsider, Apple Stores changed the policies relating to batteries on February 28, allowing customers to use the retail repair process once again for such devices. In the event the battery needs to be replaced, both the Genius Bar and Apple Authorized Service providers will replace it with an official Apple version, while repairs involving other components will continue while ignoring the battery's unofficial nature. The change does not apply to other components added to an iPhone, such as a replacement of the display, which will usually incur either the cost of a replacement or will be supplied to the customer with a refusal to repair. It also does not cover damage caused by a third-party battery, such as the screen breaking because of swelling. French Apple technicians are apparently concerned about the policy change, due to the increased risk of using unofficial batteries. 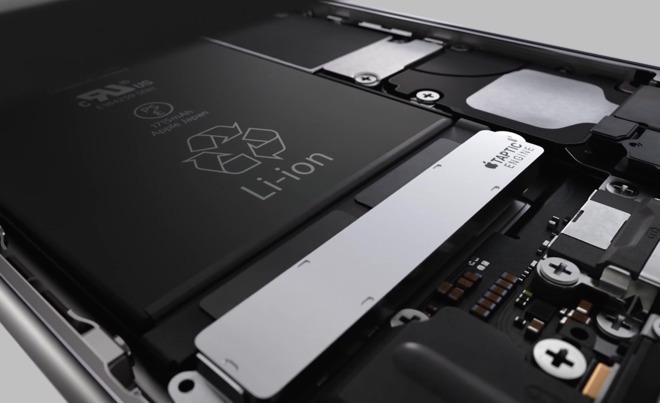 One French technician -- backed up by a tech contacted by AppleInsider in the United States -- cited incidents where changes to the battery were not detected before opening the iPhone and an accidental short circuit caused damage to the logic board. To mitigate the risk, technicians have to follow special instructions for devices identified as having a third-party battery, increasing the repair time while also requiring extra mandatory training and certifications. It’s a good thing in general despite the increased risk.